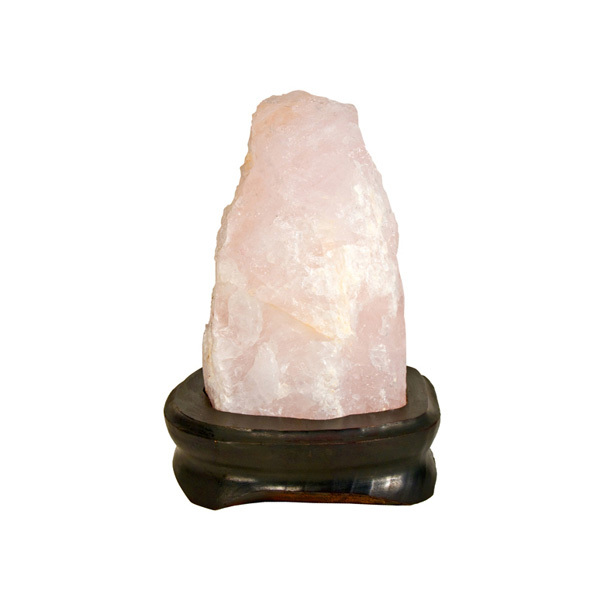 This stunning rose quartz crystal lamp from Brazil is in its raw, natural form. 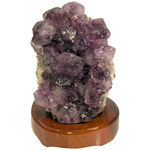 Because the natural quartz is drilled to the center, it emits a soft warm light from within. Each lamp is set in a custom cut wood base and includes a butterfly cord with 15 w bulb. CSA safety standard approved.